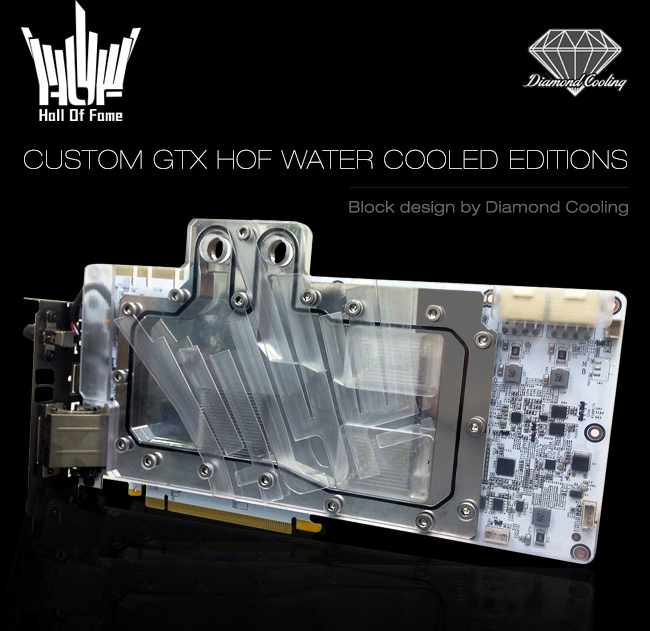 GALAX, a leading manufacturer and innovator of extreme performance gaming hardware, today announced the long awaited custom water-cooled HOF series. 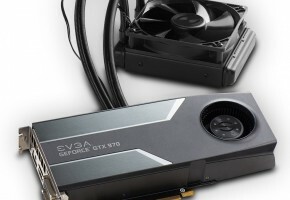 Pushing the limits is the Hall of Fame series’ reason for being—fueling the passion for World record breaking overclocks and peerless in-game performance. 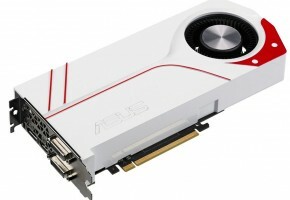 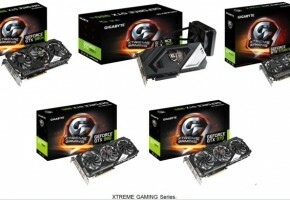 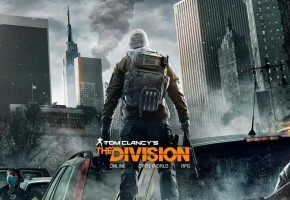 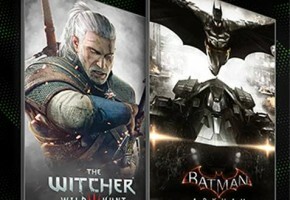 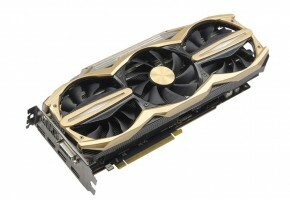 This passion is rivaled only by GALAX’s dedication to engineering the most capable, powerful and uncompromised hardware for the task, and the results have earned HOF series graphics cards a reputation as the best since their global debut in 2013. 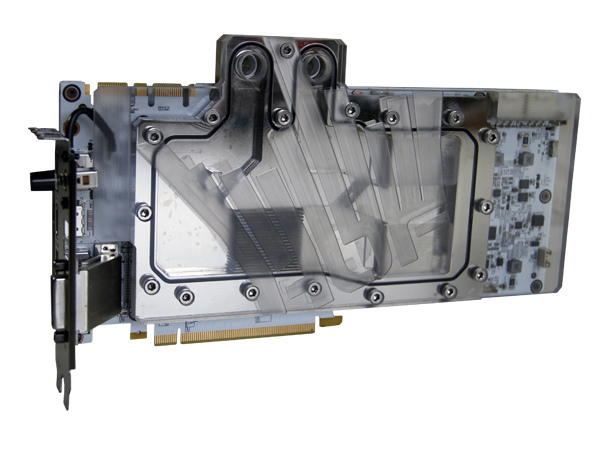 Working in-conjunction with Diamond Cooling based in Europe, specialists in all things custom and cool, GALAX has developed a water cooling solution designed to fully unleash the raw potential of the GTX 980 and 970 HOF graphics cards with the unprecedented cooling capacity needed for extreme overclocks. 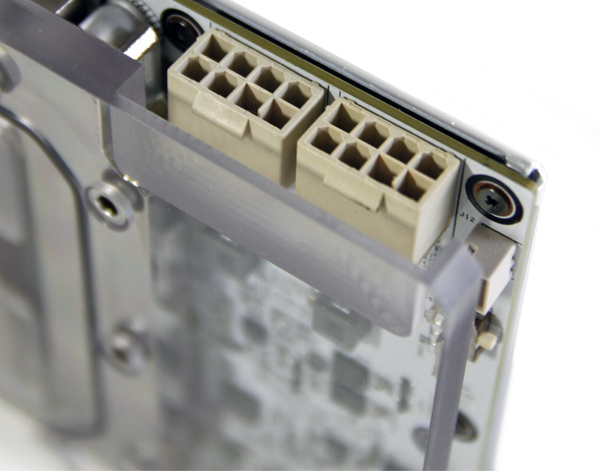 The design philosophy for the new Hall of Fame waterblock is based on five pillars of performance cooler engineering: Full PCB coverage, active cooling for all key components, no top cover plates hiding parts of the block, a clean yet strong design and zero compromise in cooling efficiency and coolant flow. 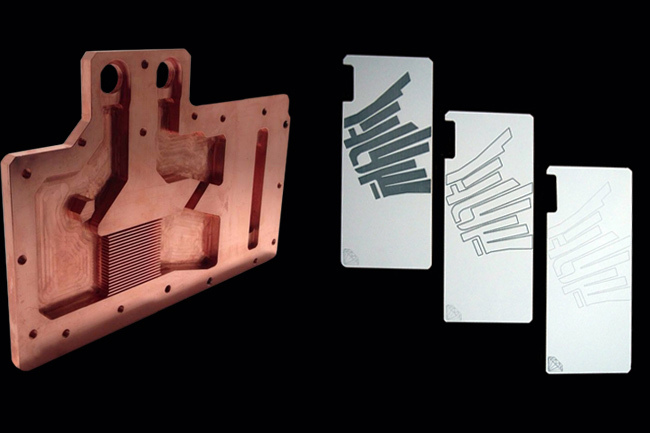 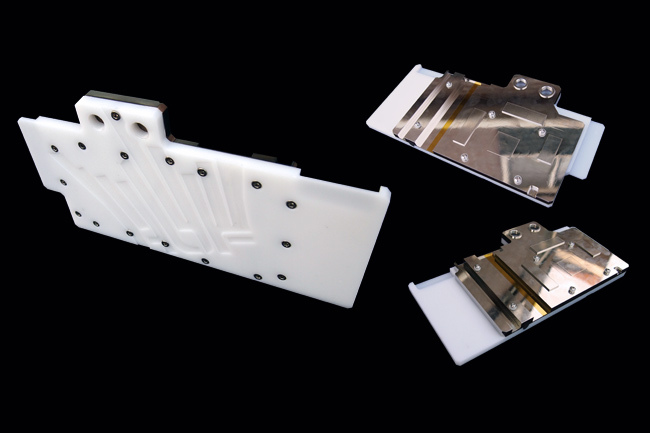 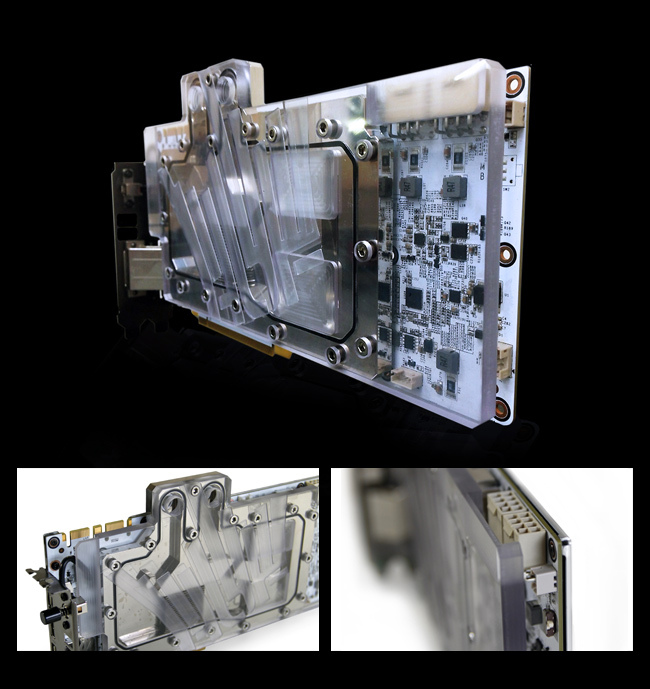 Only the best materials make the cut for the waterblock’s construction, ensuring superior quality in every piece. 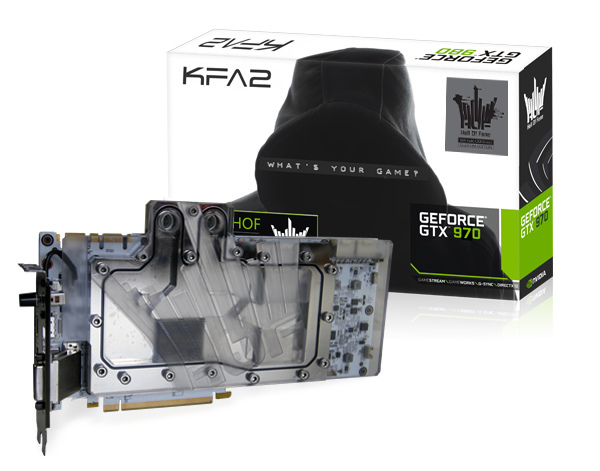 The custom GeForce GTX 980/970 HOF watercooled editions will be available online Click here.